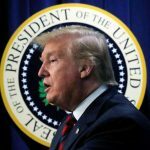 Compounding the lira's agony, President Donald Trump said Friday he had doubled steel and aluminium tariffs on Turkey, noting that relations between the NATO allies were "not very good"
The embattled Turkish lira tumbled over 16 percent to new record lows against the dollar as strains with the United States intensified, but President Recep Tayyip Erdogan defiantly proclaimed Turkey would emerge victorious in an “economic war”. “The last time I can remember a currency exploding into a similar acceleration of weakness to what we have seen in the past 24 hours is the Russian ruble crisis that transpired late in 2014,” said Jameel Ahmad, head of currency strategy at FXTM. “If you have dollars, euros or gold under your pillow, go to banks to exchange them for Turkish lira. It is a national fight,” he said. “This will be the response to those who have declared an economic war,” he said, blaming Turkey’s woes on what he described as an “interest rate lobby” seeking to push the country to higher rates. Trump intensified the alarm on financial markets with his new tweet doubling the tariffs, noting for good measure the lira was sliding “rapidly downward against our very strong Dollar!”. “Our relations with Turkey are not good at this time!” he added. But Erdogan said Turks should not be alarmed by exchange rate movements. “The dollar, the mollar, will not cut our path,” said Erdogan, using a figure of speech he repeatedly uses to mock something. Turkey had alternatives “from Iran, to Russia, to China and some European countries”, he added. The Turkish foreign ministry hit back at Trump’s comments, saying that the “only result will be harming our relationship” and vowing unspecified retaliation. It added that Trump’s remarks were “not possible to reconcile with state seriousness”. UBS chief economist for EMEA emerging markets Gyorgy Kovacs said a giant rate hike of 350-400 basis points would be “consistent with real rate levels that in the past helped to stabilise the currency” but warned a deal to normalise ties with the US may also be needed. “President Erdogan’s strengthened powers under the new presidential system have made it increasingly uncertain whether policymakers will be able to act to stabilise the economy,” said William Jackson, chief emerging markets economist at Capital Economics in London. Concerns mounted Friday after a report in the Financial Times that the supervisory wing of the European Central Bank had over the last weeks begun to look more closely at eurozone lenders’ exposure to Turkey. The report said the situation is not yet seen as “critical” but Spain’s BBVA, Italy’s UniCredit and France’s BNP Paribas are regarded as particularly exposed. Albayrak, who formerly served as energy minister, on Friday announced what he has described as a “new economic model” for Turkey but he focused on macro-economic issues and steered well clear of tackling the currency crisis. 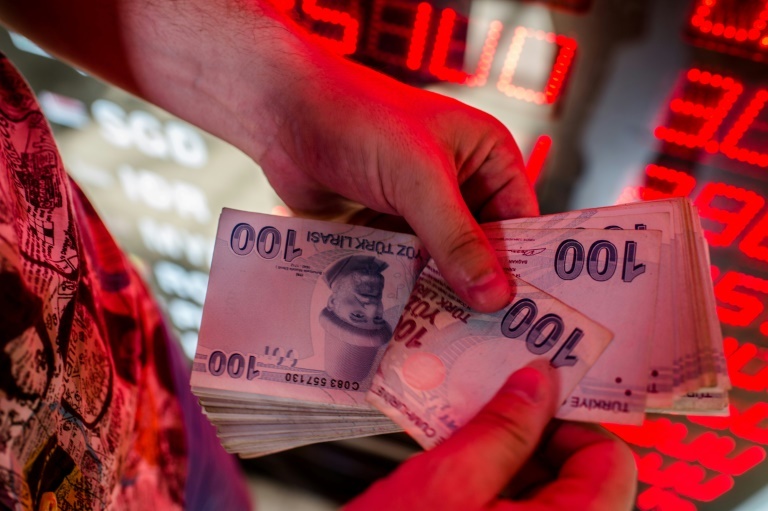 The lira’s plunge has featured remarkably little on Turkish television channels and newspapers — most of which after recent ownership changes are loyal to the government — with media focusing instead on recent flooding by the Black Sea.